← We’re Fully Mobile on Android and Apple Devices! 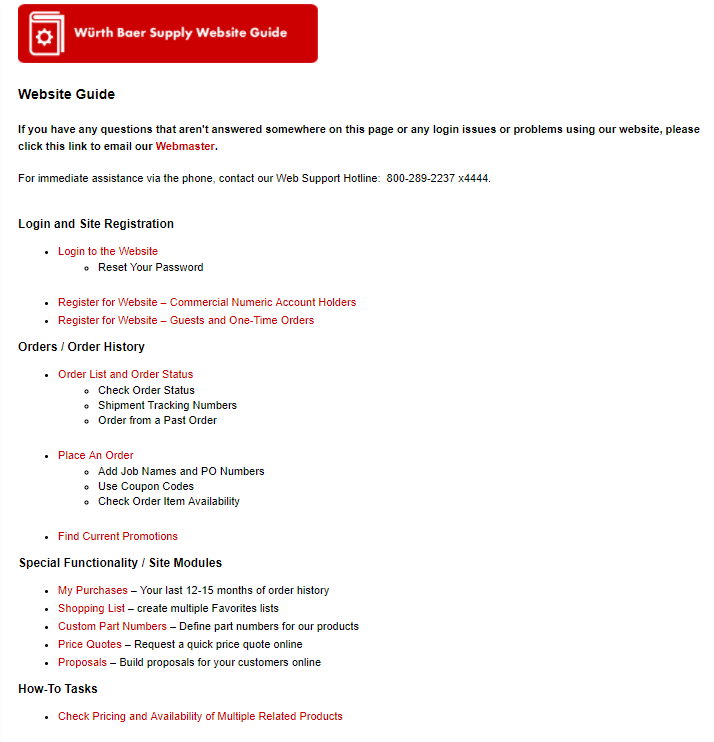 Did you know we have a Help section on the website providing help documentation on the features of our website? Click the Help link in the upper right corner of the website. 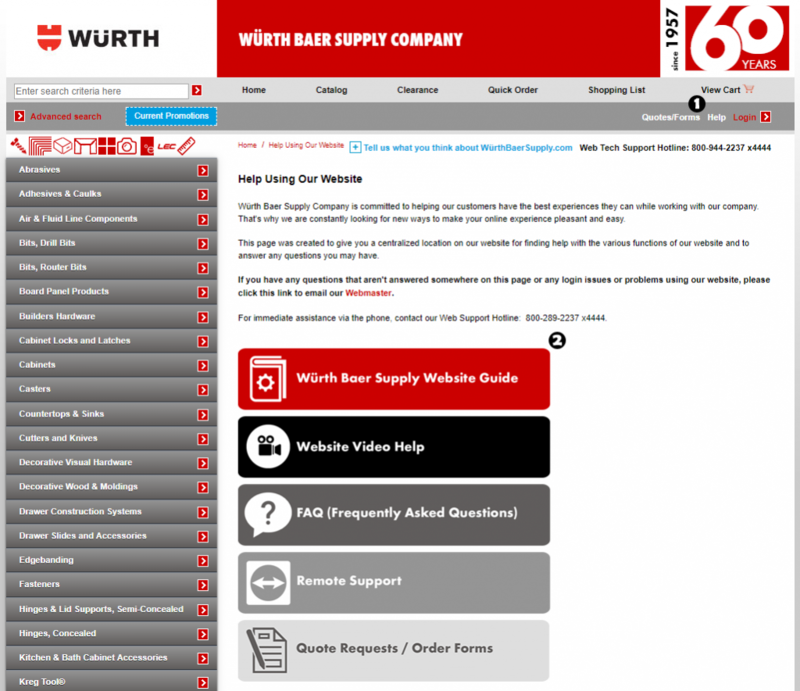 Click the Würth Baer Supply Website Guide button (red) on the Help Guide Table of Contents page. Click any of the red links on the page for help with that feature of the website. This entry was posted in General, Help, Website and tagged help, training, website. Bookmark the permalink.